That spirit of education has been in our hearts ever since, and it’s played out in our schools every day. 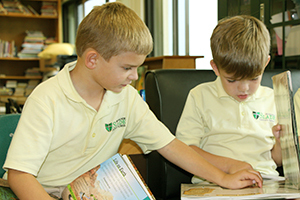 Our primary students enjoy spending time in the library together. Here, every student is valued. Learning is celebrated. Faith is strengthened. And we provide the rigorous, advanced education that our children need.